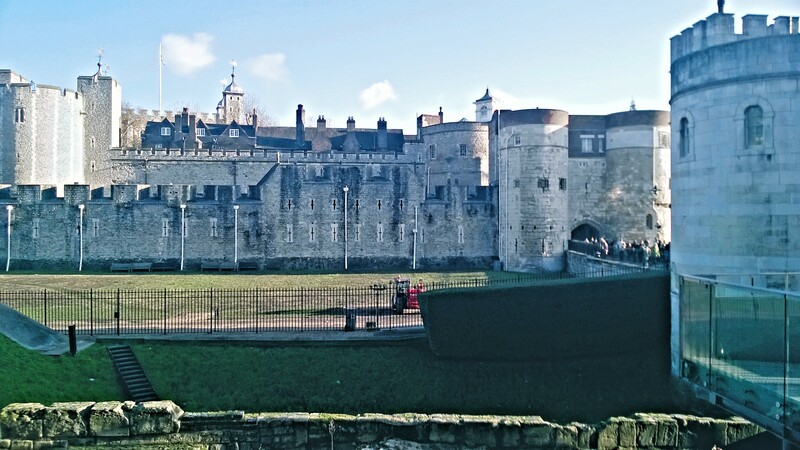 I visited the Tower of London at the end of November and found the moat pockmarked with vacant holes from the uprooted wire stems of £888,246 Tower Poppies that had formed ‘Blood Swept Lands and Seas of Red’, an art installation marking the centenary of the outbreak of the First World War and commemorating all those British soldiers killed in that conflict. Although the eye catching red glory and ceremony of poppy wash had passed, I still experienced the poignancy of the war looking at all the empty pockmarks left behind in the mud of the moat. Past the moat bulks The Tower, a fortress complex composed of 19 towers and two concentric walls circumscribing the iconic “White Tower,” – a wonderfully preserved Norman Keep erected in 1066 by William the Conqueror shortly after his conquest of England. 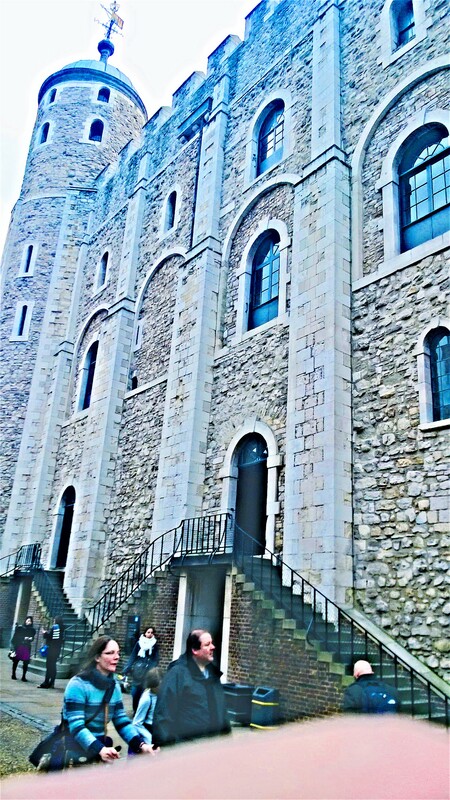 When completed, the White Tower was the tallest building in England. over the centuries, it has served as a royal palace, fortress, storehouse, barracks, armoury, animal menagerie and prison. 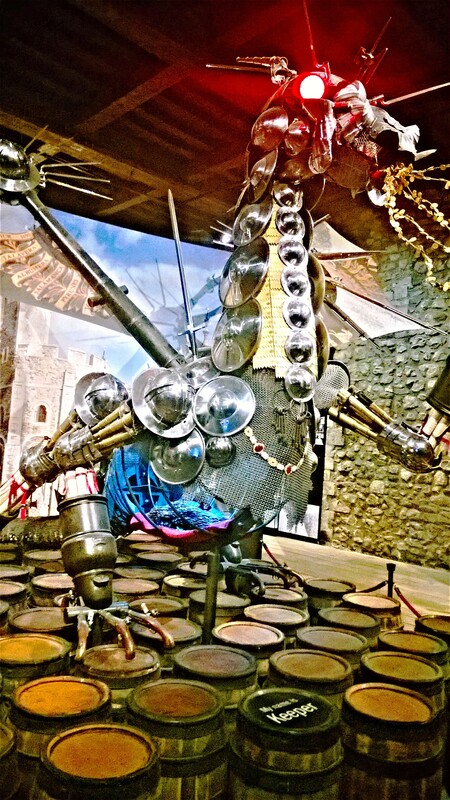 Today it is a museum showcasing its history and exhibiting part of the royal armoury and one of the world’s oldest tourist exhibitions – “the Line of Kings” – a 400 year old display of armoured knights and wooden horses. 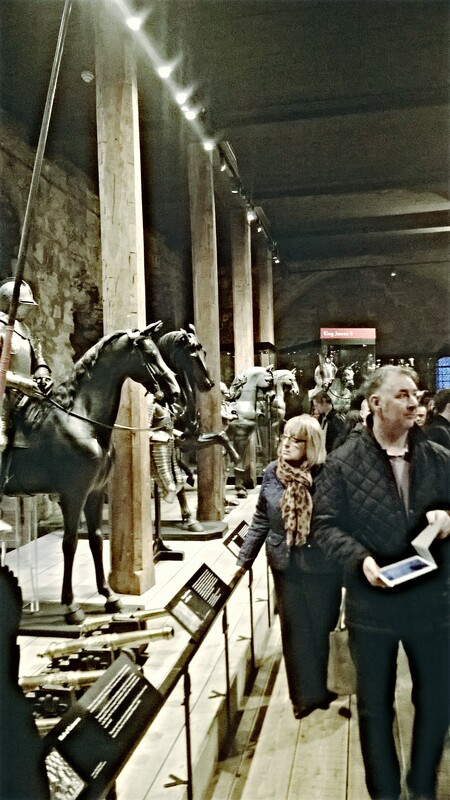 There were further towers and exhibits to see, including a chamber with torture paraphernalia and a head-chopping block. The Crown Jewels were on display as well and I wearied my eyes with looking at their endless sparkle. Yeoman Warder Dave Philips, guided the tour group I was part of. 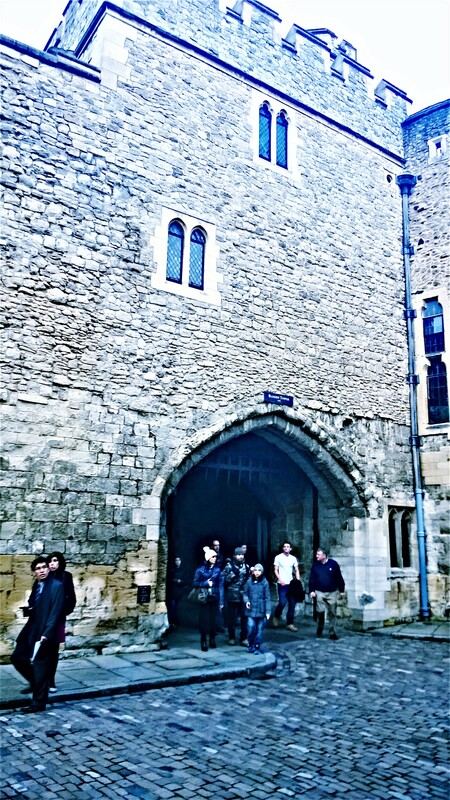 He told us about The Tower’s multiple uses over the centuries and recounted stories of imprisonments, tortures and beheadings. He also told us about the Beafeaters’ (Yeoman Warders’) long and evolving history and their modern day function in ceremonial duties, as the Crown Jewels guardians and as tourist entertainers. 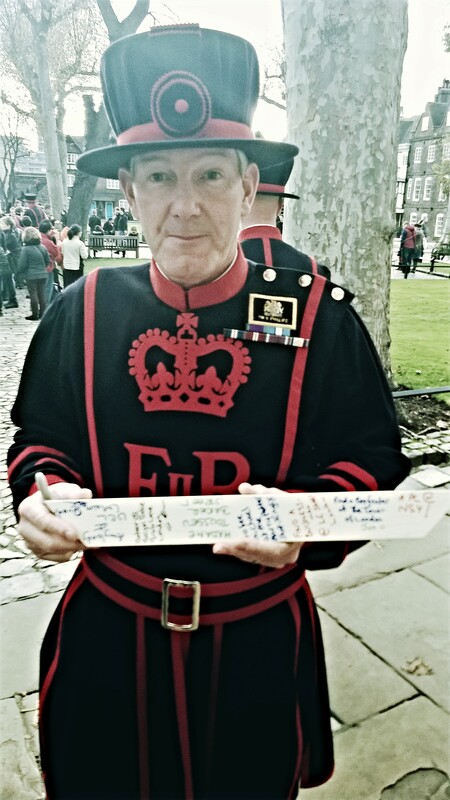 Dave explained that Yeoman Warders like him are drawn from retired former military personal with long service and good conduct or “never got caught” medals. Other criteria include being interested in history and being indisputably beautiful, witty, strong, brave, intelligent and modest.